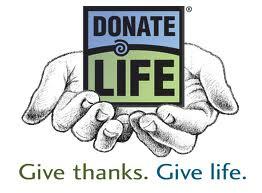 Here are websites that are dedicated to promoting organ & tissue donation news, awareness and education. An independent, twice-monthly newsletter providing up-to-the-minute information on developments in organ, tissue, eye, bone marrow, and stem cell procurement and transplantation. The Transplant News Network provides political, scientific, and industrial developments, reported twice a month. TNN is part of CenterSpan, a project of the American Society of Transplant Surgeons. CenterSpan was created to support the practice of transplantation through the creation and application of new educational and communication tools on the Internet. The Transplant News Advisor is a non-profit donated information site giving independent Web Space for any organizations or persons related to the Organ or Transplant fields. This section contains the latest news and information about organ donation and transplantation, including news releases, articles and policy notices from the past 12 months and media information containing links to information most commonly requested by the news media. Keep up to date on the latest transplant-related news from UNOS by registering to receive e-mail updates when news items and policy notices are posted.